The NAWQA Program is assessing the water-quality conditions of more than 50 of the Nation's largest river basins and aquifers, known as Study Units. Collectively, these Study Units cover about one-half of the United States and include sources of drinking water used by about 70 percent of the U.S. population. Comprehensive assessments of about one-third of the Study Units are ongoing at a given time. Each Study Unit is scheduled to be revisited every decade to evaluate changes in water-quality conditions. NAWQA assessments rely heavily on existing information collected by the USGS and many other agencies as well as the use of nationally consistent study designs and methods of sampling and analysis. Such consistency simultaneously provides information about the status and trends in water-quality conditions in a particular stream or aquifer and, more importantly, provides the basis to make comparisons among watersheds and improve our understanding of the factors that affect water-quality conditions regionally and nationally. 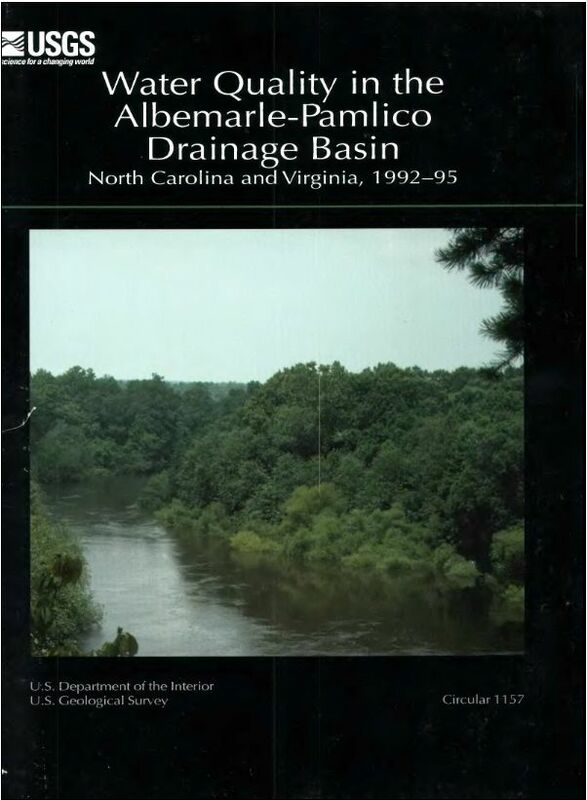 This report is intended to summarize major findings that emerged between 1992 and 1995 from the water-quality assessment of the Albemarle-Pamlico Drainage Study Unit and to relate these findings to water-quality issues of regional and national concern. The information is primarily intended for those who are involved in water-resource management. Indeed, this report addresses many of the concerns raised by regulators, water-utility managers, industry representatives, and other scientists, engineers, public officials, and members of stakeholder groups who provided advice and input to the USGS during this NAWQA Study-Unit investigation. Yet, the information contained here may also interest those who simply wish to know more about the quality of water in the rivers and aquifers in the area where they live.